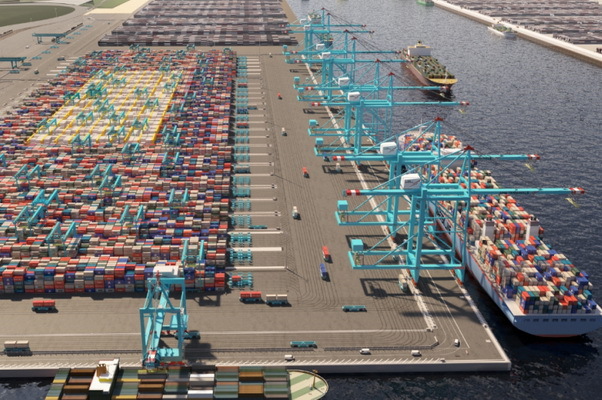 Port of Rotterdam continue losing market share, but remain the largest container port in Europe. The throughput of the port in first quarter of 2016 decreased by 3.9% yoy to 3.0 million TEU. The port authorities explained the decrease with the unfavorable environment and delaying economy of China, Russia and Brazil. At the same time, there is an increase in the volume of trade with USA, UK, Ireland, Spain and Portugal. Port of Rotterdam has repeatedly pointed out that the unequal competitive conditions gone cargo flows to other European ports, which are subsidized and supported by national governments, primarily Antwerp. In 2015, the container turnonver at the Port of Rotterdam decreased by 0.5% and amounted to 12.2 million TEU, while Antwerp has shown an average growth of container traffic by 7.5%, increasing its market share in Europe and pretending to be the second largest container port, competing Hamburg. Port of Rotterdam is the largest port in Europe, located in the city of Rotterdam, Netherlands. The port is one of the world’s busiest ports, but after the boom of the Asian economy and Chinese export, was overtaken by Shanghai and Singapore. Covering 105 square km, the port of Rotterdam now stretches over a distance of 40 km. Rotterdam consists of five distinct port areas and three distribution parks that facilitate the needs of a hinterland with 40,000,000 consumers.